Important Information. 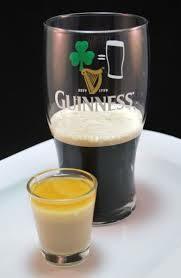 How To Make An Irish Car Bomb. Enjoy! Ok, so the name isn’t PC, but there’s really no other name to identify this spectacular drink. If you don’t make it at home, definitely enjoy it at your local. Happy St. Patrick’s Day! And Every Day!